This program lets your computer remind you of important dates and events. It uses Microsoft? Agent to show a talking animated alarm. It also plays any sound and includes a snooze button. It has very flexible scheduling and allows multiple shcedules per alarm. The program is easy and pleasant to use and includes a contextual help balloon. Uses Microsoft? Agent to remind you of events and appointments. An icon in the Windows system tray gives quick access to the alarm clock. The New Alarm Wizard makes adding an alarm fast and easy. Talking Alarm Clock's windows are easy on the eye, with soft colors and gentle transitions. There's also help balloon that shows a full explanation of each part of the Alarm Clock window. Minimalist digital alarm clock. Free. Virus and spyware free. Set up 3 different alarms on specific days of the week or a countdown timer. Free Cellular Alarm Clock will send a wake-up call to your cellular phone. Qweas is providing links to Talking Alarm Clock 2.0 as a courtesy, and makes no representations regarding Talking Alarm Clock or any other applications or any information related thereto. Any questions, complaints or claims regarding this application Talking Alarm Clock 2.0 must be directed to the appropriate software vendor. 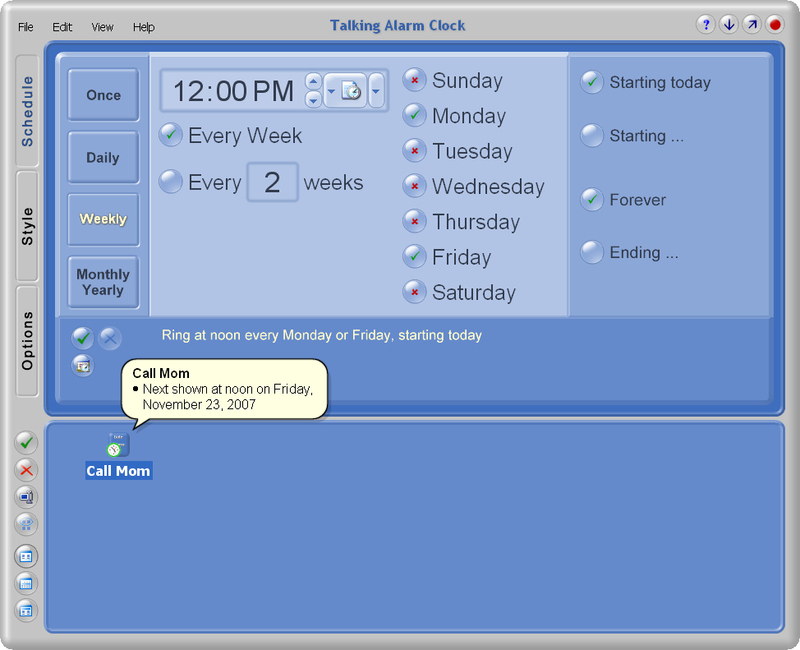 You may click the publisher link of Talking Alarm Clock on the top of this page to get more details about the vendor.